Ever since I was a young girl I have been certain of three things when it comes to friendship. 2. My friends have become family. 3. A family of friends is a beautiful thing. I grew up in a large family on both sides and even though that was a beautiful chaos, I have always sought solace in my friends. I was adamant that my friends would become like family. One of my favourite biblical friendships has to be David and Jonathan. They were the inventors of “bromance” and honestly, I don’t think anyone could top them. Jonathan was willing to stake his relationship with his own father for the calling upon David’s life that Jonathan knew came from God. But, if we want to put it simply, Jonathan loved David and David loved Jonathan. In 1 Samuel 18:1 ESV, it states “the soul of Jonathan was knit to the soul of David, and Jonathan loved him as his own soul.“ How beautiful is that? To love another so much, you love them like your own soul. 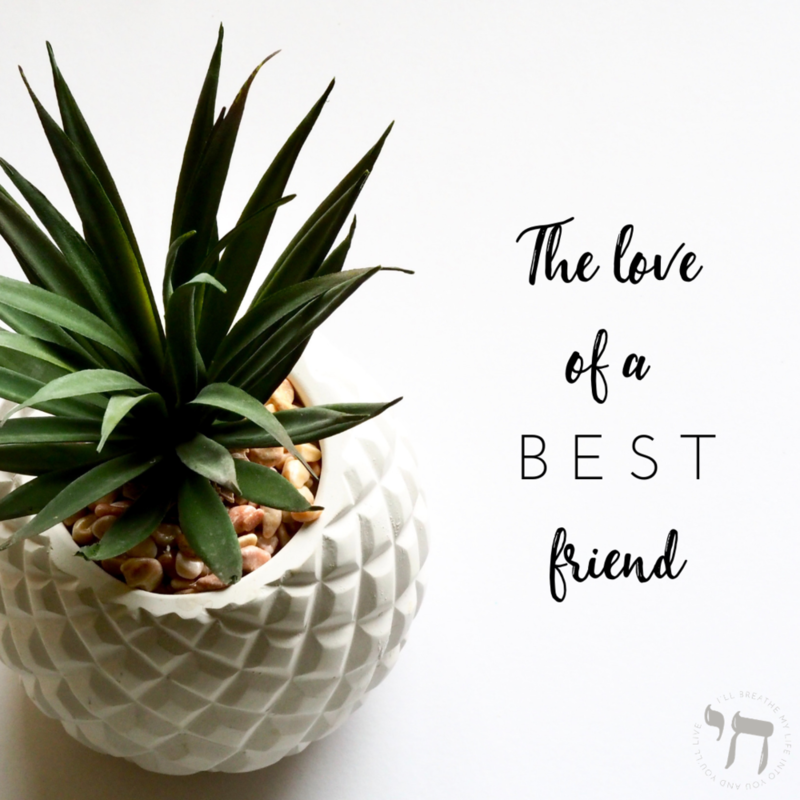 The relationship with Jonathan and David shows us the way in which we can wholeheartedly love our friends. Jonathan knew that the throne belonged to David and he wanted to see his friend prosper. Even if it meant siding against his own Father. We see Jonathan, sacrifice for David as in verse 4 he takes off robe, his armour, his sword, his bow AND his belt and gave it to David. The love of a best friend is felt like no other. They are there to shield you, cover you in prayer. As we journey through this Friendship series, let’s acknowledge those that have been around us, those who have comforted us and been there when we’ve needed them most. Those whom we are proud to call, friend. However, for some of us, friendships can be difficult. We’ve been hurt by the very people we put our trust in, we have seen countless amount of friendships fail and we begin to ask the question, am I good enough? We might not have good memories of our friendships and if we’re honest we might admit that we’re scared at times - to let people see who we really are. Because that is the thing about friendships, eventually our friends will see and know who we truly are. One of my favourite hymns says, “what a friend we have in Jesus, all our sins and griefs to bear. What a privilege to carry everything to God in prayer.” Jesus is the greatest friend of all, if you are having difficulty understanding the love of a best friend, seek Him and I promise you He will remind you that you were already chosen. Friendship is a beautiful thing. The greatest friendship of all is with Jesus. I pray you seek after Him and feel that His love surrounds you. I pray for the friendships you do have, may they always continue to lead you closer to our God, never cause you to stumble, uplift and encourage you, appropriately convict you and above all else, may they extend their love to you. Amen.